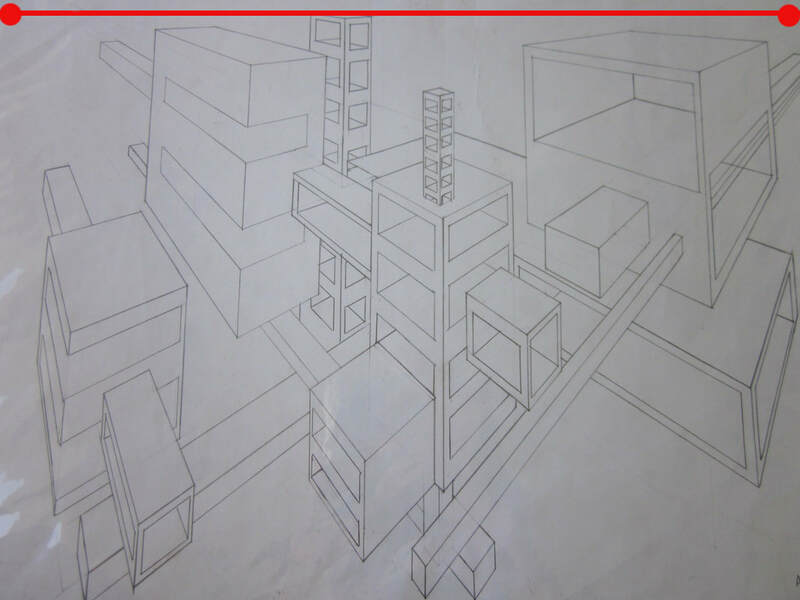 Students will design a futuristic building using the two point perspective technique. ____/100pts Creativity/Originality: Does your Structure have a Minimum of 10 cubes, 3 intersecting cubes, 3 overlapping cubes? 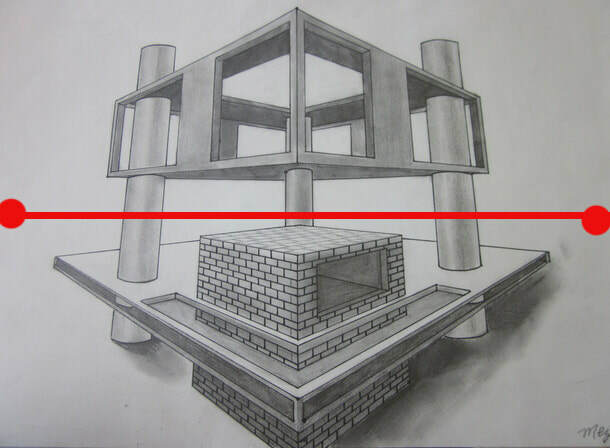 ____/100pts Craftsmanship/ Skill : Does your drawing have straight lines? Is your artwork beautiful and patiently done? Is your project as good as you could make it? STEP #1 Decide the orientation of your paper. Portrait or Landscape? Decide where your horizon line will go. See examples below. 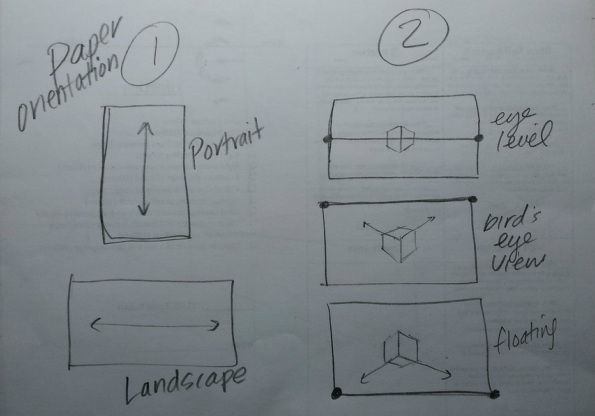 STEP #2 Look through all the student examples below. If you like one you can try to copy it. Change it up a little to make it your own. You do not need to shade the cubes. 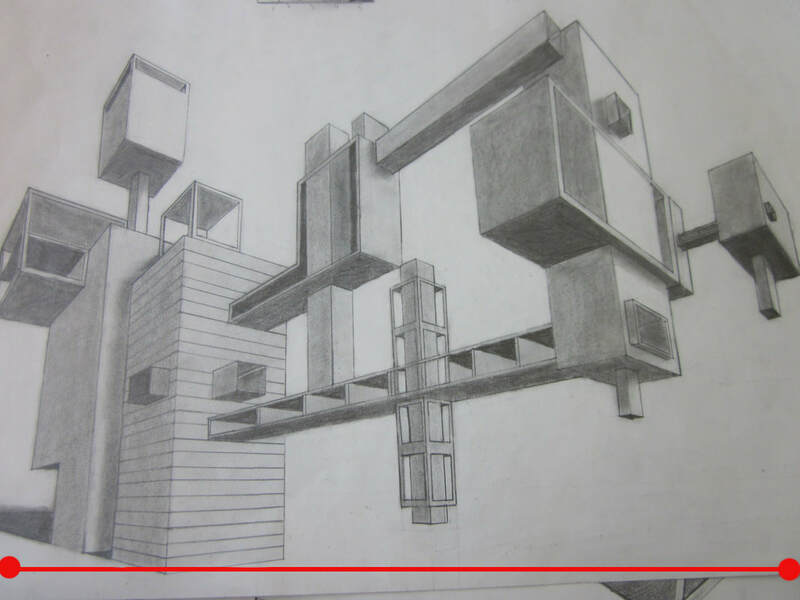 Don't forget your futuristic building has to have a minimum of 10 cubes, 3 intersecting cubes, 3 overlapping cubes and details (example: windows/openings). When completed write your name and period # on the back.